From Emmy Award winners John Wells, Ann Biderman and Chris Chulack comes a raw and authentic look at the police unit in Los Angeles. From the beaches of Malibu to the streets of East LA, "Southland" is a fast-moving drama that will take you inside the lives of cops, criminals, victims and their families. Download Southland in Digital HD from the iTunes store. Southland images are © Warner Bros.. All Rights Reserved. Created by John Wells (ER, The West Wing, Third Watch), Christopher Chulack (ER, Third Watch) and Ann Biderman (Public Enemies, Hill Street Blues), Southland:The Complete First Season follows the complicated lives of the dedicated LAPD officers and detectives' lead as they take on criminals, victims and a city tainted by vice, and seething with danger. The rookie cop and his savvier, veteran colleagues try to make a difference in the not so glamorous part of Hollywood, but as one wiser cop says, "Every once in a while, you get to take a bad guy off the street for good. And that, my friend, is God's work." 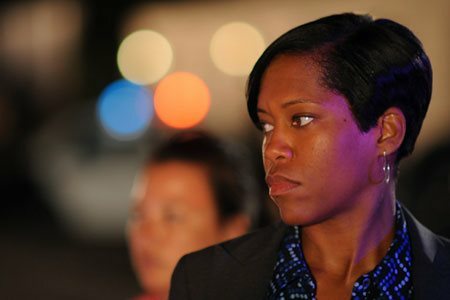 While taking some of it's directorial cues from such shows as the office, Southland gives the viewer a look into the lives of the Los Angelous police officers and the struggles they personally deal with on an everyday basis. What makes Southland different from other "cop shows" that have been released is the fact that not every main character has the characteristics you would like to see in a police officer. In fact, some are downright wrong in most aspects of what they do. Southland actually does not hide this side of the law and tries to paint a true picture of the life at a police station. Aside from presenting "Southland: The Complete First Season is in amaphorix 16x9, and Dolbity Digital sound; they have gone even further to release the episodes uncensored -- providing a more realistic show that is not moderated by the rules of the FCC. 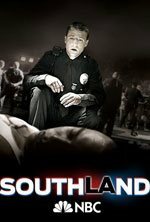 While I have not personally been into any "cop shows" since Miami Vice left the air, Southland is a breath of fresh air in a world ruled lately by CSI and Law and Order. Southland images © Warner Bros.. All Rights Reserved.